Born in the middle of bloodshed, Pakistan and India have been uncomfortable neighbors for the past sixty-odd years. Generations have come and gone but the hurt, anger and acrimony of the past refuses to die down. Even today, most narratives—fictional and non-fictional—about India and Pakistan seem to revolve around the partition and subsequent wars between the two countries. Granted, such narratives are historically important, but we need to move beyond them and into the present. We are all aware of the huge costs— economic, military, social and human—that our countries pay because of this strained relationship. If this relationship is ever to improve, it will happen when people begin to see each other as fully functioning human beings, invested with emotions, feelings and sentiments. Love Across Borders is a small step in that direction. It is a collection of short stories, original works of fiction by Indian and Pakistani writers that aim to create new narratives about modern-day India and Pakistan; narratives of love, friendship, connection and relationships between ordinary people. We hope to celebrate the similarities between our nations, creating common threads with which the seeds of peace can be sown. Several of our stories are collaborations between writers from across the border, proving that no task is impossible when the collective energies of people across the divide are harnessed. We welcome you to read through the selection of stories we have curated for you, and let the spirit of love stay with you long after you have put the book down. 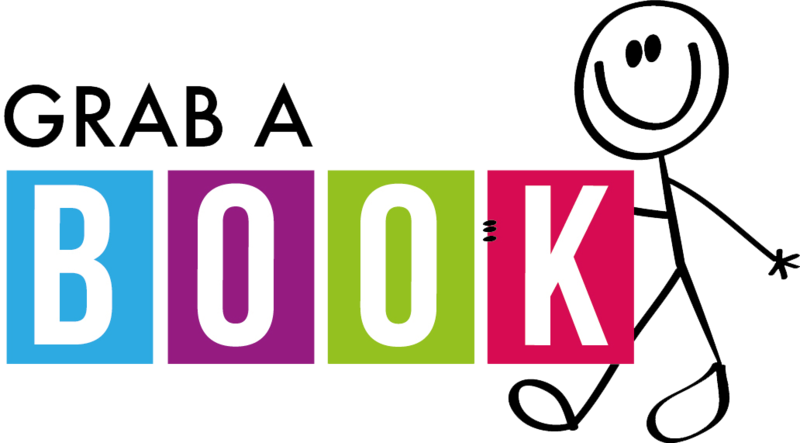 Indireads aims to revolutionize the popular fiction genre in South Asia. 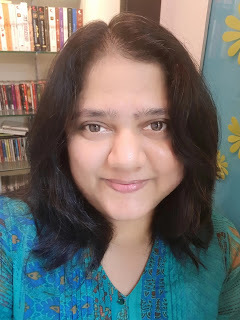 As a channel for South Asian writers to engage readers at home and abroad, we showcase vibrant narratives that describe the lives, constraints, hopes and aspirations of modern South Asian men and women. It is wonderful to see an effort that harnesses the power of words, stories and contemporary writings to create positive change in society across two countries. Efforts like these help us all create a better future, in which we learn to respect, understand and empathize with each other. I wish the team well, and I hope it succeeds in its mission. Today more than ever before, it is critical that our two nations understand, listen, empathize and connect with ‘the other’. We know that across the globe, young people are at the forefront of driving real change; the appeal of initiatives like Love Across Borders is that it draws in, and engages, young people across the borders. I am confident that the project will play at least a small role in helping us move towards our common objective of a better tomorrow. Indians and Pakistanis don’t always need to agree with each other. But they need to learn to see each other as fully fleshed out human beings, not as cardboard cutouts. 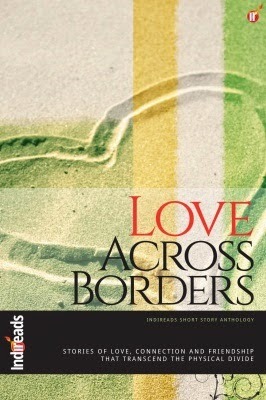 Love Across Borders by Indireads is an important step toward that goal. The common experience of life across a partitioned South Asia lies scattered throughout its literature. We do not have enough platforms to present and celebrate these writings, and Love Across Borders is a commendable effort to bring the contemporary writings from the region together, and renew the memories of a shared life and worldview. The border between India and Pakistan is sealed tight against people. I grew up half an hour’s drive away, and I’ve crossed it on days when I’ve only seen four or five other people at immigration. But stories can travel more easily. They are reminders that it isn’t the width of an ocean between us, or some interstellar void, but rather a line so narrow that if it were water, it would be less than a stream. Naysayers have long proclaimed that Pakistanis and Indians have nothing in common but hostility towards each other. They may wish this was so but it is not fact. Despite wars and borders and a line of control, we still share expressions of hope and fear, love and sorrow, music and poetry, melodrama and cricket, and much more. Even die-hards will struggle to deny the enduring commonality of our peoples after reading the stories in this anthology. Romance is the beggar that appears at reality’s door at unexpected hours. We must give it the gift of our attention. For that reason, I welcome the publication of Love Across Borders. The reality at the moment, as far as India and Pakistan are concerned, is of intransigent borders and mutual accusations of killings. In the stories in these pages, those shouts are replaced by whispers. This, too, is welcome. Other stories, other lives. The grave complications of living and loving. We will all be happier if the borders are breached by trembling souls. A wonderful set of perceptions, ideas, feelings, showing the truth behind the headlines in South Asia. These stories describe, above all, the power of love, of wonder, informed by the past, but reaching for the future. Indeed, Love Across Borders provides us a vision of that future, and it's a future governed by the heart. This is a heart-warming initiative that resonates with the poignancy of crossborder relations. At the human level, Love Across Borders distills the essence of the emotionally charged India-Pakistan relationship; it also delegitimatizes the otherization narrative so often manufactured by the votaries of hate. There's far too much suspicion and rhetoric between Indians and Pakistanis - and too few efforts to bridge the divide. Smart, modern projects like Love Across Borders by Indireads can have a real impact and start meaningful conversations. The cover of this book designed by Sabahat Muhammad goes well with the concept of the book - Love, Connections and Relationships across India-Pakistan Border. The Interesting concept handled beautifully by Indireads. The stories are simple, believable and well-written. Not all the stories stay with you, though. For me, Anjum is the best out of the twelve. That 70's babe - The protagonist is one of the admirers of the Indian girl he talks about. The 'babe' of 70's who is portrayed as a strong person and rebellion sorts. If you are attentive enough, you might know who the author is talking about. Serendipity - Simple. Beautifully written. A story inside a story. Two strangers meeting at Starbucks, one of them sharing the story with the other and with us. One Stupid Comment - The story deals with a treaty, which is meant to bring two tribes together. The story could have been written better. Anjum - The best out of the twelve. Tells us about how a Pakistani young bride makes an influence in the life of an Indian young bride. The story begins with both the women being introduced in an elevator. From there till the time they reach their respective apartments, seems like the Pakistani bride needs the support but eventually it happens to be the other way round. The reluctance shown by the Indian Bride's partner is one of the common reactions we come across when the person in question happens to be from across the border. Some people leave a permanent mark in our lives, this story is about such people. Dressed to Kill - Well! Personally, I feel the story could have been written a lot better. It did not make much sense to me, seemed a little shallow. Best Friends Forever - Second best in my list. Beautifully written. A story about two friends who are reunited after many years, thanks to Facebook. Almost all of us have found at least one lost friend on facebook and have realized that they are not exactly the same person they were when we knew them, despite that - we also know in our heart that somewhere inside this new person is part of the friend we once knew! Twelve Months - The story of a Pakistani woman who visits her dead husband's house in India every year. The memories and the end, well described. However, the story-line could have built up in a much better way. I did not really understand the idea behind it. An Unlikely Romeo - Yet another beautifully written short story. It deals with the hardships of a Pakistani bride married in UK and then how she makes a difference in someone else's life. The Long Interval - Yet another reunited over facebook short story. The protagonist, in his old age creates a facebook account with the help of his grandson and realizes that someone is interested in his profile and the past. An incomplete story - a name almost forgotten but still at the tip of the tongue. Love - lost and found after the long interval. The Old Willow - Story of two friends who meet at Crema Cafe in Massachusetts. Not so successful attempt of telling us that Cricket brings the two countries together. Seemed shallow to me. Remnants of a Rainy Day - Story of a man who leaves an Umbrella hanging outside his apartment door, memories of a rainy day decade ago still fresh in his mind. The visitors to his apartment and the owners of the Umbrella, an influence in his life. Overall, I admire the effort that goes behind writing of these stories. The unspoken doubt that arises (even if it is for a moment) when the person you meet is one from across the border is very well described in each of the stories. The message of the book is loud and clear - Indians and Pakistanis need to learn to see each other as fully fleshed out human beings, not as cardboard cutouts.